INDIANAPOLIS, NOV 1 : Accompanied by their parents, children attired in attractive dresses of Comicon stars, visited their neighbours and in their community area playing ‘trick-or-treat’ in a friendly way. They were offered candies, snacks or gift. As soon as the owner opened the front door, the children, carrying Halloween baskets, said ‘trick-or-treat’. In response, the children will get candies or other sweets/gifts. “Thanks you and happy Halloween,” said the children while moving to the other neighbour between 6 to 7 p.m.
Children and their parents enthusiastically participated in Halloween. People decorated their houses with carved lanterns with ‘scary’ faces out of pumpkins. The homes and gardens were decorated in Halloween style. 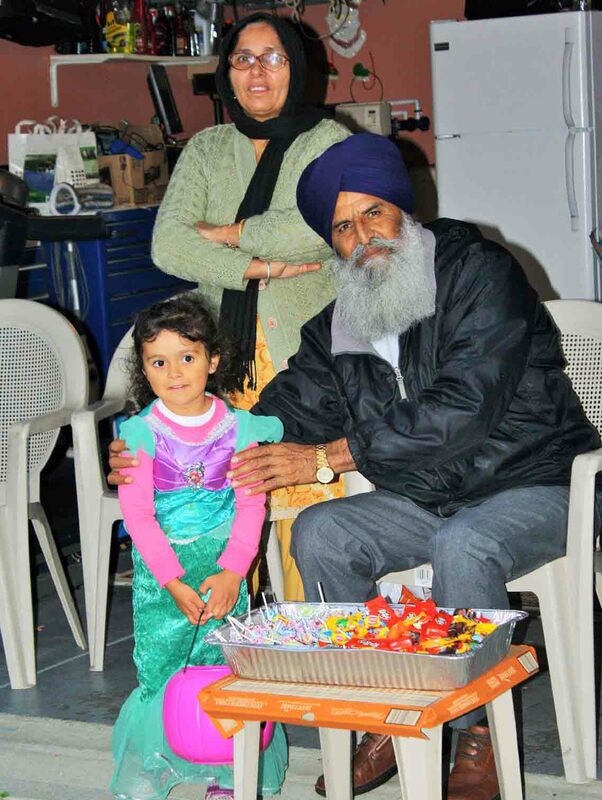 Even the people of Indian origin also equally enthusiastic in Halloween. It might have reminded the Punjab’s tradition of “Sunder Mundrye Tera….” when the children will visit their neighbours asking for sweets/gifts/money etc. Halloween which originated as a pagan festival in United Kingdom and immigrants from Scotland and Ireland brought their tradition to United States. In 1990s commercialisation of Halloween started and Halloween dresses were sold in stores from 1930s. Halloween costumes, yard decorations and candy are in big demand for Halloween. Meanwhile, the authorities had cautioned the parents not to allow their children to eat open candies/sweets. They should ensure these treats (candies/sweets etc) are safe to eat before giving these to their children.